"We must stop this senseless violence," LAPD Chief Michael Moore said. 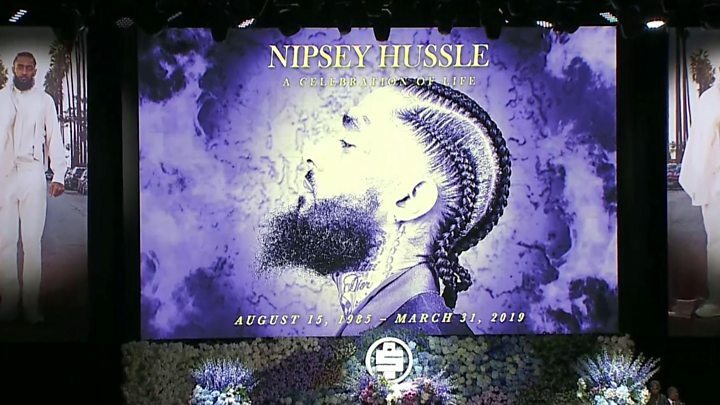 A letter from former President Barack Obama, addressed to Nipsey's friends and family, was read out at the service. "His choice to invest in that community rather than ignore it - to build a skills training centre and a co-working space in Crenshaw; to lift up the Eritrean-American community; to set an example for young people to follow - is a legacy worth celebration," he wrote. Fellow West Coast rapper and collaborator Kendrick Lamar also penned an emotional letter calling him a "true king". "His charisma and way with words was powerful," he wrote. "But his integrity as a person made me even more enthused." 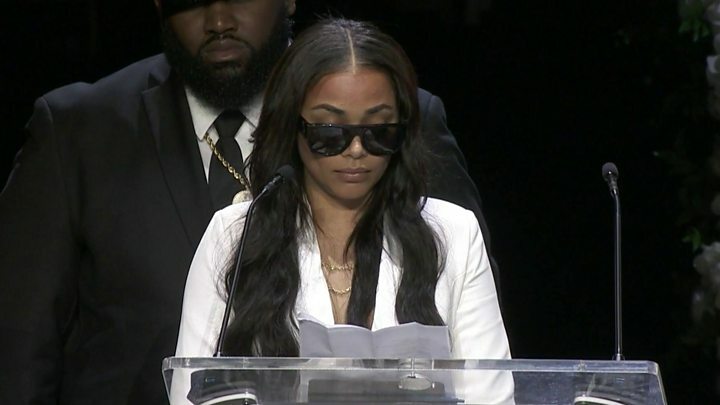 Nipsey's girlfriend Lauren London was joined at the service by the couple's two-year-old son Kross and her older son Kameron, whose dad is Lil Wayne. "I'd like to say something to my city Los Angeles. This pain is ours - we know what Nip meant to us. "We lost an incredible soul to us and we lost someone very rare. "We lost a real one."